The Board of Directors approved dedicating the Limestone Medical Center Board Room as the Joe Phillips Memorial Board Room at the January 22, 2019 meeting. Mr. Phillips was appointed to the Board on May 21, 1996 and was a sitting member at the time of his death on October 3, 2018. The members of the Board formally dedicated the Board Room as the Joe Phillips Memorial Board Room on February 26, 2019. 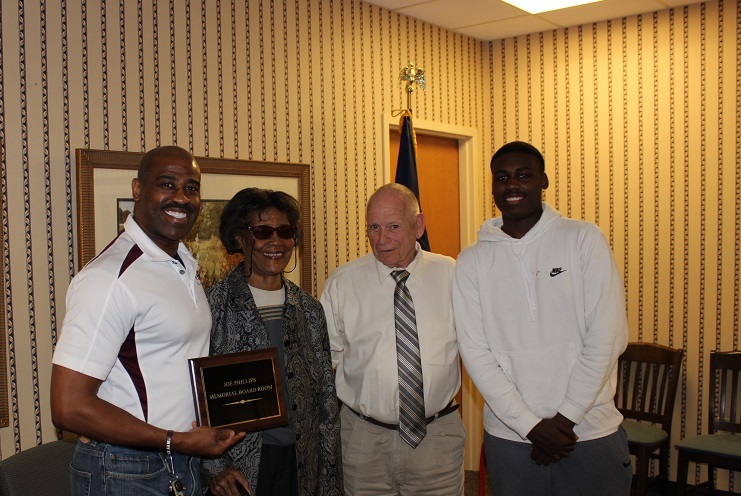 Danny Hewitt, President of the Board, presented the Phillips family with the plaque that will be displayed in the Board Room now dedicated in memory of Joe L. Phillips. Pictured are Joe C. Phillips, Gloredia Phillips, Danny Hewitt and Joe C. Phillips, II.